Byron Sectional Armless Queen Sleeper Sofa. Check the Dimensions tab and view our how to measure furniture guide. 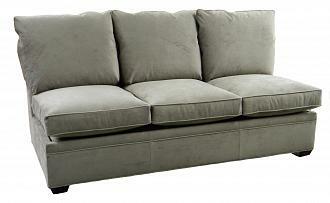 Create your own custom Byron sectional sofa. 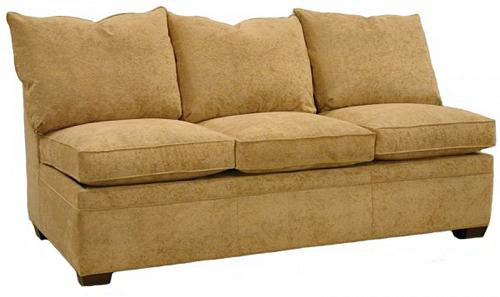 Use the Byron Sectional Armless Queen Sleeper Sofa as a connecting piece then choose any sectional configuration, large or small. Or use the Byron Armless Queen Sleeper Sofa as a stand alone piece for a contemporary looking space saving multi-use beautiful piece of furniture. Upgrade your sleeper sofa mattress to Air Dream or Air Dream Ultra ... a sofa sleeper mattress so comfortable you'll want to sleep on it and give overnight guests your room!